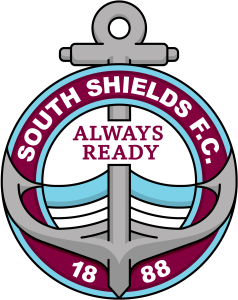 South Shields are to host Spennymoor Town in the first qualifying round of the FA Youth Cup on Monday. The tie will take place at Mariners Park, with kick-off at 7pm. Support would be greatly welcome, with admission costing £2 for adults and £1 for concessions. The fixture is a rematch of last year’s second qualifying round tie between the sides, which Spennymoor won 2-1 at Mariners Park in front of a crowd of 277. The young Mariners reached this stage of the competition with a terrific 4-3 win at Stockton Town, coming back from 2-0 and 3-2 behind. Goals from Will McCamley, Michael Colquhoun (2) and Sam Hodgson sealed the victory. They also started their ECFA Category One Premier League campaign in fine style on Wednesday, beating York College i2i 7-2. The youngsters would hugely appreciate your support on Monday in what will be their biggest occasion of the season so far.